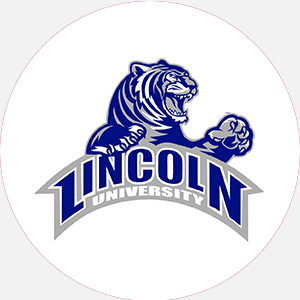 Lincoln University is a four-year, state-supported, coed university that was founded in 1866 as Linc…. Lincoln University is a four-year, state-supported, coed university that was founded in 1866 as Lincoln Institute. Lincoln’s illustrious history began at the close of the Civil War, when soldiers and officers of the Sixty-second United States Colored Infantry contributed 00 to create Lincoln Institute to educate the freed blacks of Missouri. Additional funds were supplied by the Sixty-fifth Colored Infantry, which contributed 24.50. Classes began in September 1866. Three years later the institute moved to its current location. The following year, Lincoln received state aid for teacher training. In 1877, college-level work was added to the curriculum, and two years later Lincoln became a state institution. The first bachelor’s degrees were awarded in 1891. In 1921, the school became Lincoln University. Since September 1954, Lincoln has accepted any qualified student who wishes to enroll. Today, Lincoln University prides itself in providing students with a culturally, educationally, and socially diverse learning environment. Lincoln University’s campus is located on approximately 152 acres in the small town of Jefferson City, Missouri. An additional 800 acres is used for a research farm. The twenty-building campus ../includes both historic and modern facilities. Under the second Morrill Act of 1890, Lincoln University of Missouri became a land-grant institution. Lincoln University is accredited by the North Central Association of Colleges and Schools to award the Associate of Arts, Associate of Applied Science, Bachelor of Arts, Bachelor of Science, and master’s degrees. Percentage of students receiving financial aid: 80 Financial Aid Specific to the School Army ROTC offers two- and three-year scholarships that pay tuition, fees, books, and other expenses and provide a monthly stipend. Students should contact the ROTC Office. Art scholarships are available to students who exhibit outstanding artistic abilities. Students should contact the Fine Arts Department. Athletic scholarships are awarded to men in basketball, track, baseball, soccer, and golf. Women’s athletic scholarships are awarded in basketball, tennis, track, and softball. Students should contact the Athletic Department. July 15 (fall); October 20 (spring). Graduation from an accredited high school (or equivalent) and submission of an official high school transcript with six semesters of high school grades. Nonresidents must have a C average and must show proof of a recent physical by the end of the first semester. A nonrefundable application fee is required. Admission Application Deadline: July 15 (fall); October 20 (spring). Admission Contact: Office of Enrollment Services, Lincoln University of Missouri, Young Hall, Jefferson City, Missouri 65102-0029; Telephone: 573-681-5599; 800-521-5052 (toll-free); 573-681-5889 (fax). Minimum of 124 semester hours, with 9 hours in composition and speech; 8 hours in science; 5 hours in mathematics; 12 hours in social science; 6 hours in health and physical education; 6 hours in humanities; 6 hours in interpersonal relations; 13 hours in foreign language for B.A. and B.S. in biology, chemistry, and physics; 1 hour in freshman orientation; 2 hours in military science for men students, some exceptions apply. All students must complete core requirements; the last 30 hours of credit must be obtained at Lincoln University. Minimum of 62 to 71 semester hours for an associate degree and completion of core requirements, including 6 hours in composition and speech, 3 hours of mathematics, 6 hours in social sciences, and 1 hour in physical education. Campus Regulations: Class attendance is mandatory for freshmen, international students, students on academic probation, and for those in all courses numbered 199 and below; students must reside on campus for the first four semesters (exceptions for transfer students, commuter students, veterans, and students 21 years of age or older); students must register their cars with the Office of Safety and Security; ROTC is required for 1 hour for two semesters. Campus Services: Health center, personal and psychological counseling. Campus Activities: Social and cultural activities include theater, band, choirs, jazz ensemble, dance troupe, and orchestra. Special events include the cooperative annual Black History Week and the Unity Awards in Media with the Jefferson City Community. Students may work on the biweekly student newspaper, The Clarion. Broadcast students may work at KLUM-FM, a 40,000-watt public radio station, or public access television station JCTV. Leadership opportunities are found in the Student Government Association (SGA) or numerous other student-run organizations, such as the Shutterbug Club. The ROTC Rangers rifle club competes on a local and state level. Greek fraternities include Alpha Phi Alpha, Kappa Alpha Psi, Omega Psi Phi, and Phi Beta Sigma; sororities include Alpha Kappa Alpha, Delta Sigma Theta, Sigma Gamma Rho, and Zeta Phi Beta. Honor societies include Alpha Kappa Mu and Beta Kappa Chi. Housing Availability: 630 housing spaces available; freshman-only housing available. Secured housing is available by paying a 5 deposit. August-May 14 (semesters) Commencement and conferring of degrees: May One summer session. Associate of Arts: Criminal Justice, Secretarial Science Associate of Arts and Science: Agriculture, Building Science, Computer Science, Drafting Technology, Electronics Technology, Mechanical Technology, Nursing Science Bachelor of Arts: Broadcasting, Economics, English, French, History, Journalism, Mathematics, Philosophy, Political Science, Psychology, Radio and Television Broadcasting, Sociology Bachelor of Music Education: Music Bachelor of Science: Accounting, Agriculture, Art, Biology, Broadcasting, Building Engineering, Business Administration, Chemistry, Computer Information Systems, Criminal Justice, Economics, Fashion Merchandising, Food and Nutrition, General Home Economics, Graphic Art Technology, Journalism, Marketing, Mathematics, Medical Technology, Physics, Psychology, Public Administration, Radio and Television Broadcasting, Secretarial Science, Sociology Bachelor of Science Education: Art, Biology, Business Education, Chemistry, Elementary Education, English, French, Graphic Arts Technology, Health and Physical Education, Mathematics, Mechanical Technology, Physics, Social Science Education, Special Education.